"Gather a strong squad to conquer the galaxy!" 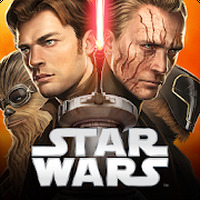 Game Goal: The new release from Netmarble brings back the Star Wars ™ characters on an adventure to conquer the universe, presenting players with amazing PvP battles in real time. How to Play: The player must collect cards to assemble a squad capable of dominating rivals in the arenas and can combine characters to get even more powerful attacks. Graphics: The developers have worked hard to provide a beautiful visual experience, with impeccable animations, characters and realistic elements throughout the game. Sound: As with the graphics, the soundtrack preserves the atmosphere of the famous film franchise. 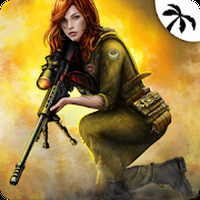 Game play: Game modes include training, single and PvP battles with 1x1 and 2x2 confrontations in real time filled with adrenaline and exciting challenges. Controls: Menus, cards and actions can be controlled with the help of touch controls. Developer: Netmarble Games is based in Korea	- Credible developer. Do you like Star Wars™: Force Arena?